The Infinity Wars crossover has just introduced remade the fabric of the Marvel Universe in a very strange way. 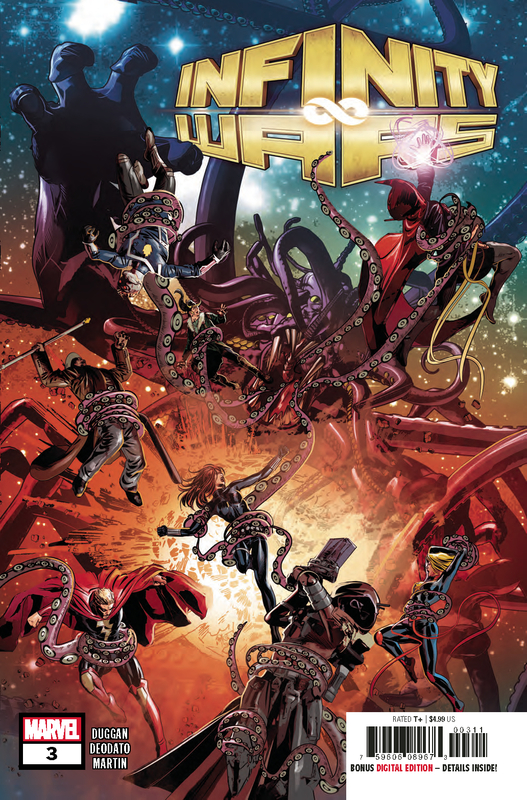 Warning: this article contains spoilers for Infinity Wars #3! Infinity Wars has been an eventful storyline already. To recap, ex-Guardian of the Galaxy Gamora has taken on a new identity as Requiem, used her Power Stone-encrusted sword to decapitate Thanos and then claimed the remaining Infinity Stones to become the most powerful being in the universe.